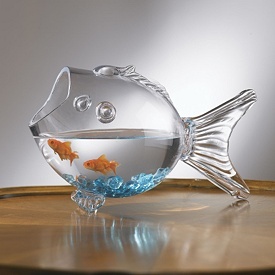 spiritual reflections « Living Life in a Fish Bowl! The main point of this chapter is about practical godliness, striving against sin and not each other, and the struggle between flesh and Spirit. Freedom! Freedom to stand firm. Freedom in Christ. As I was organizing my spices (getting rid of ones I have never used – finding duplicates – finding spices I had forgotten about) I was reminded how easily my stuff can start to choke me. Sometimes it is as if my ‘stuff’ has become a chain that traps me. Instead of owning it, it owns me. It is then that I find that God is calling me to a deeper level of generosity. What is God calling you to do? Where are you on the generous meter? How tightly do you hold on to your things? Freedom – trusting God with it all! We’ve been looking at Romans 5:1-5 (3/7 Christian life, 3/8 just as if, 3/11 fields of grace) Today we will start with verse 3. “And not only this…. this what? (if you have time take a moment and read 3/7, 3/8, 3/11) In a nutshell here is what “this is” referring to – justified by faith, peace with God thru Jesus, grace to stand and hope in God – what a list!! Yet he goes on to say — not only this but there’s more!!! Don’t give up. Light afflictions – remember Paul’s resume’ (2 Cor 11:22-28) The light afflictions he is referring to consist of many imprisonments, beatings, shipwrecked, stoned and he faced many dangers….. Tomorrow we will look more closely as why rejoice in sufferings? We have access (approach God) by faith into grace/favor in which we stand firm. “Standing in grace” – sometimes it ‘feels’ like we are knee deep in mud. When it feels like that remember truth – Grace in where we stand. You may need to remind yourself of this when your emotions/feelings try to tell you something different. It is the power of God that enables us to stand. Don’t forget where you are standing! Field of God’s grace!! We have an anchor that keeps us sure and steady. It doesn’t fasten to the sand but enters within the veil and fastens onto Christ. Jesus paid the price for us. Our hope is fastened on Him.